36 oz. of roasted and lightly salted super large cashews in a resealable shatterproof jar. These whole cashew nuts are roasted in small batches with canola oil with a touch of salt. These will surely be the best tasting, biggest cashews you will find that are roasted in Michigan. 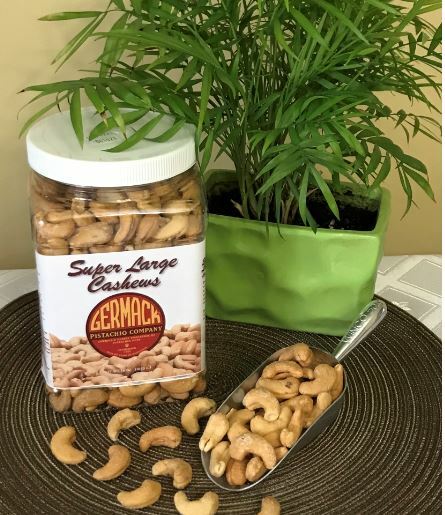 Great family size jar, perfect for the office, picnics and large gatherings. Also in 16 oz. jar.